Cheesecake Brownies . . . thick and fudgy with chocolate chips and a marbled cream cheese layer, these brownies are rich and delicious! I love brownies. I love cheesecake. Combine the two together and I am pretty much in dessert heaven! I enjoyed every bite of these decadent brownies, and so did the rest of my family. I used my favorite brownie recipe as a starting point, then added some chocolate chips to the batter. And of course there’s that creamy cheesecake layer that takes the brownies to the next level. Although these brownies look fancy, they are actually super simple to make. I think the key to perfect marbled cheesecake brownies is to reserve a little of the batter to dollop on top of the filling. It works much better than just trying to swirl the batter up from the bottom. 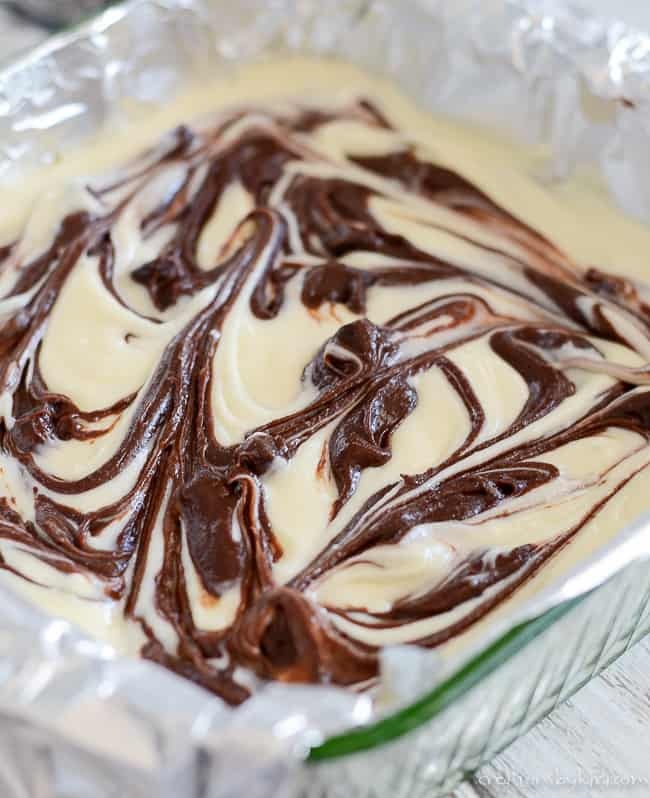 After you add the spoonfuls of brownie batter to the top, use a butter knife or spoon handle to lightly swirl the brownie batter and cheesecake filling together. So pretty, right? 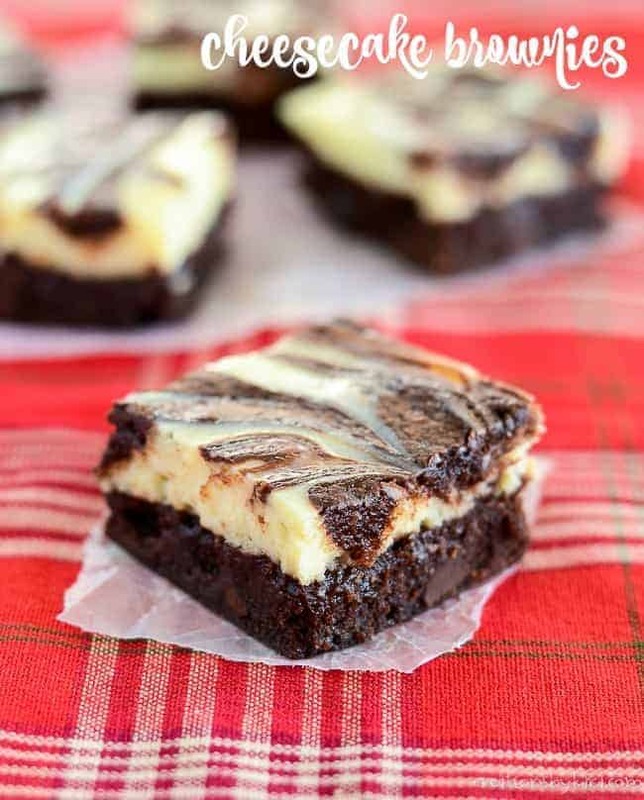 You can serve these cheesecake brownies at room temperature, but my favorite was when they were chilled. Maybe it’s because the weather has been so hot, but I thought they were fantastic straight out of the fridge. I also loved that when they were cold the chocolate chips added a nice crunch. 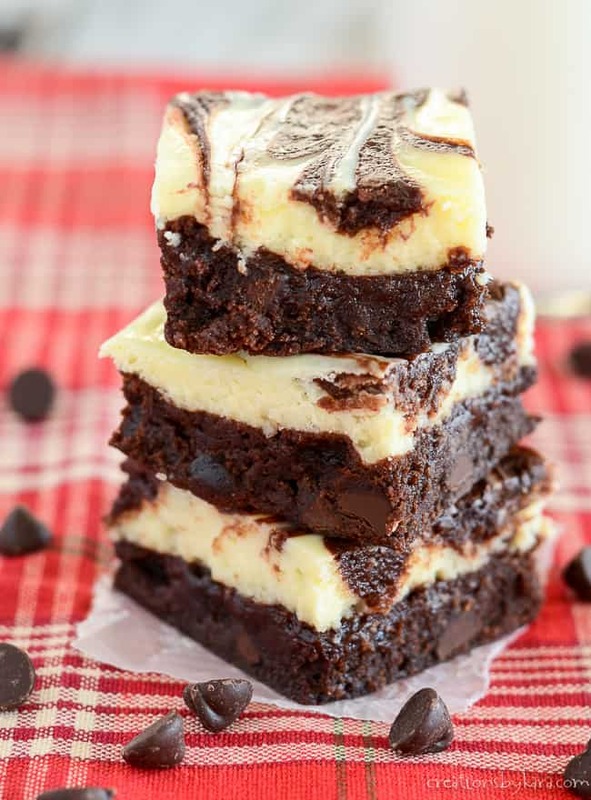 Whether you are a cheesecake or a chocolate fan, these brownies are sure to please! Serving spatula – I have several versions of these, and I love them for everything from brownies to lasagna! Whisk – a good whisk is a must for making the brownie batter. Hand Mixer – Using a hand mixer is a great way to make sure your cream cheese mixture is totally smooth. Fudgy brownies with a tangy cream cheese layer. Line an 8x8" square pan with foil and spray with non-stick spray. Set aside. Preheat oven to 350°. Beat cream cheese and sugar in a small bowl till smooth and creamy. Add the egg and vanilla and beat till just blended. Set aside. Melt butter in a large glass bowl. Whisk in sugar and cocoa powder. Whisk in eggs and vanilla till smooth. Stir in flour, salt, and chocolate chips. Reserve about 1/3 - 1/2 cup of the brownie batter, and spread the rest in the bottom of the prepared pan. Pour the cheesecake mixture over the batter and spread evenly. 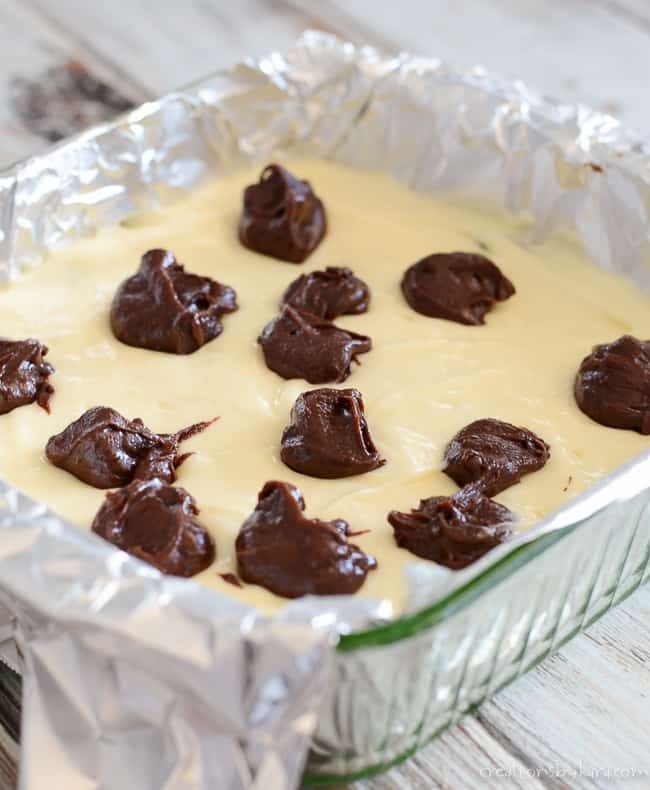 Drop the reserved brownie batter by teaspoonfuls over the cheesecake filling. Swirl with a butter knife. Bake at 350° for 35-40 minutes or till brownies are set. Today is National Cheesecake Day, so if you are a fan of cheesecake like I am, you are in luck! 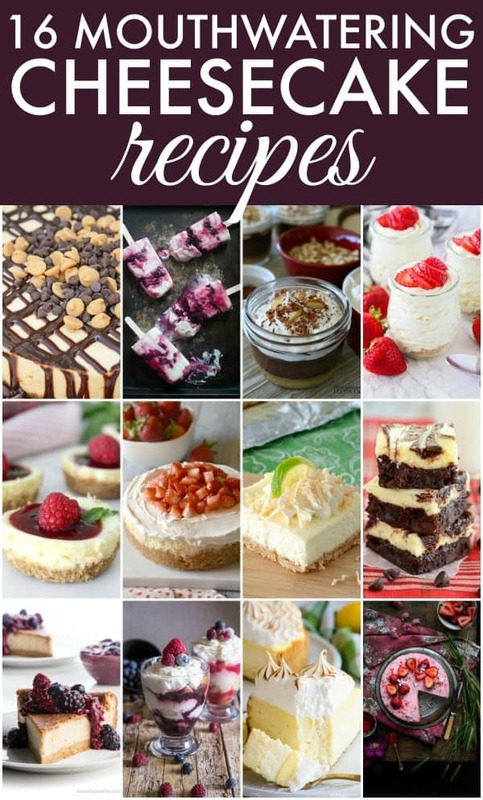 I’m teaming up with the Celebrating Food Holidays bloggers to bring you over a dozen mouthwatering cheesecake recipes. I’m drooling over here. What about you? Why can’t I see the recipe? 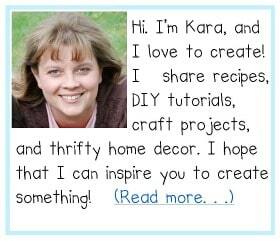 My site had a glitch last night and all the recipe cards disappeared. They are all working again, so you should be able to see the recipe now. Sorry! These came out great! I’m at high altitude so I baked at 375 for just under 40 min and they’re perfect. Added extra chocolate chips because I really like chocolate… The brownie batter was a little hard to swirl on top- I’m wondering it would’ve made it easier to pop it in the microwave for a few seconds? Either way would recommend! I’m so glad you enjoyed them! Have you tried popping brownie batter in the microwave for a few seconds? I’d be afraid that it would actually start to cook. Wouldn’t want that! Okay these are amazing!!! Thank you so much! You are so welcome, glad you like them as much as I do! 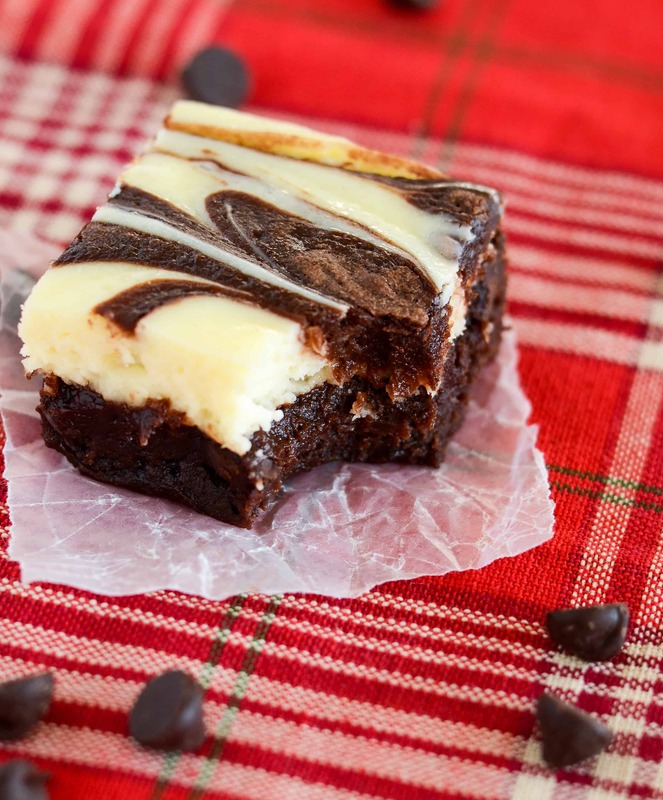 You are right, brownies and cheesecake are a heavenly combo! You are the best baker ever! Aw, that is so sweet of you to say. Thanks Kim!! My two favorite desserts in one! I could eat the whole pan of these brownies! I came across this on pinterest. These look delish! Yes you do, they are just divine!